Hey gang, Valkor her. After taking it mellow with "Attack of the Friday Monsters", I've decided to ramp up my need for destruction with this latest title and another that I'm working on that I cannot mention (curse you embargo). 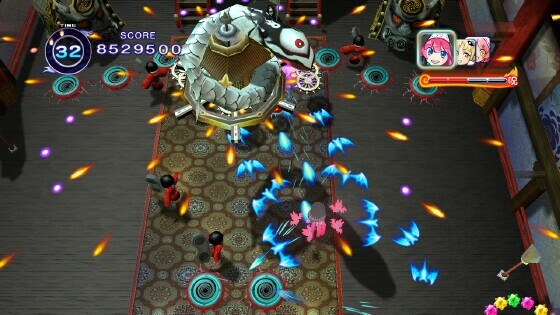 Bullet hell shooters are some of the coolest, adrenaline pumping titles out there. And when you get a good one, something like Akai Katana, then yea… you're in for a ride. However this next title turns up… the cuteness factor? Yup! Check it out, it's Mamorukun Curse! for PSN. Mamorukun Curse! is a cartoonish, top-down shoot em up, where the main story focuses on Mamoru and a group of six protagonist who have just died and are now given the task to take on some dark world baddies. 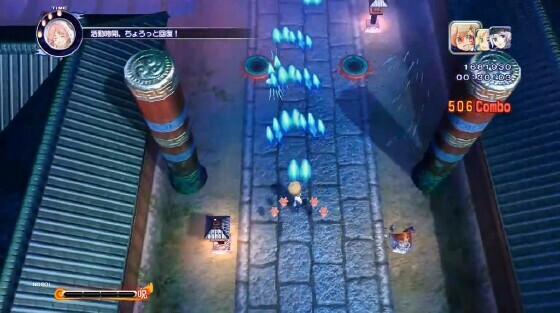 In total you'll have seven characters to choose from, each with their own set of skills. 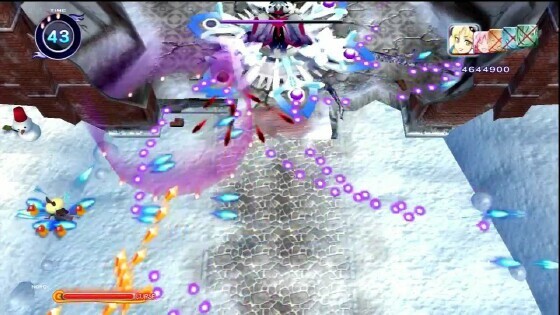 The game uses both dual analog sticks – one to control your character and the other to fire your main weapon with the triangle or X button acting as your "Curse Shot".. The "curse shot" unleashes a special blast that can either work for you or against you. That's right, if you pick it up you'll get a temporary boost in power and can even slow down time in certain areas. 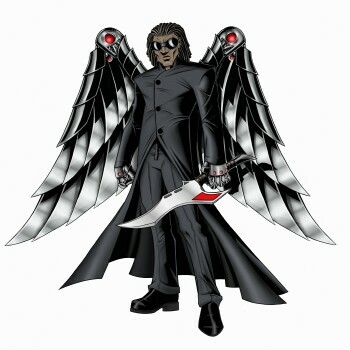 But if the bad guys should get it, then they become stronger. It definitely changes things up a bit and makes for some interesting moments. However, I did not realize this on my first play through, and actually played through the whole game without ever using it. The game is played vertically and doesn't auto scroll (except during the prologue) so you have the freedom of moving left/right and up/down; however you can only go forward, never backwards. 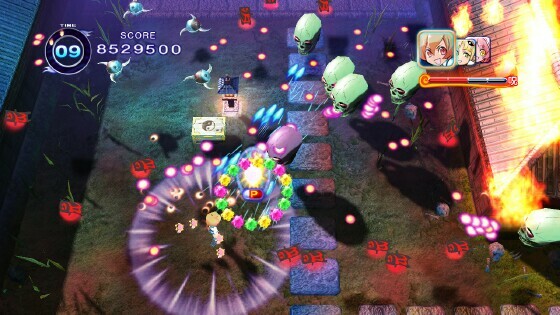 There are three modes of play, each with a practice mode and each mode follows the same five levels, though there are a few slight variations; first there's story mode, no explanation needed, however you only get to choose any of the five of the seven characters with no continues; once you're first character dies, then you switch up to the next character in the lineup. Next is Netherworld Adventures, where you'll tackle different challenges and you're only given the option of three characters to select (from what I've experience thus far it's only been three). 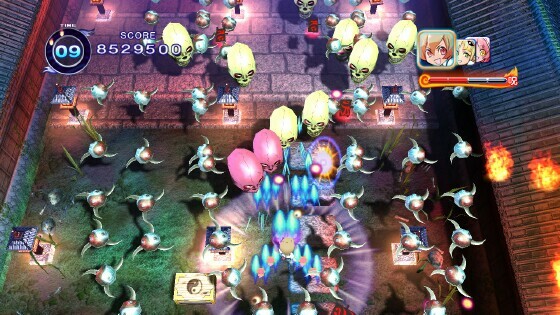 However if Story and Netherworld are too frustrating, then you can take on Arcade mode. Here you select any one character and play through the entire game with unlimited continues. I started out choosing this mode at the jump because a) you can get a feel of the different characters without getting too worked up, plus it helps during story mode as you're able to readjust to different styles when you're switched to a different character. And b) you get to also try out all the options without worry of lose such as trying out the game horizontally or even upside down, messing with the overscan option and wallpapers, which make up the left/right borders. Mamorukun Curse! was released back in 2008 under the title "Mamoru-kun wa Norowarete Shimatta!" and it's just now getting its HD comeuppance here in the states. Is a 5 year old game really worth the investment? Let's find out in the TOV Breakdown. 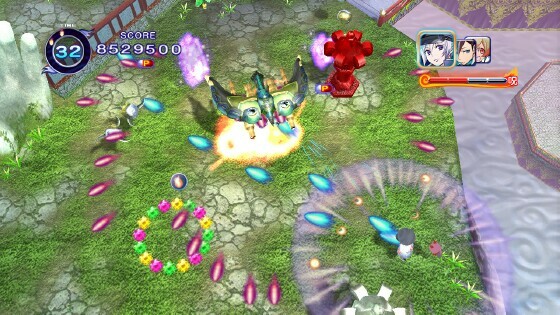 While Mamorukun Curse!, doesn't have the intensity of recently played Akai Katana, but it's still a decent shmup and quite entertaining, especially if you can get past all the cuteness. What sells it for me is the curse shot, which truly helps you out in a pickle, though I mostly hang on to it to take on the boss baddies. Controls are solid and very smooth, and using both analog controllers I was able to pull off some pretty nifty moves. I can't even imagine using the D-Pad to play this game (and it is an option for those interested). The graphics are decent and given that this game is 5 years old, I think they hold up quite well. Added to that the HD enhancement and the graphics all but shine; colors are bright, bold, and crystal clear. The music deserves a nod as well; it's fun, lively and really gets you into the game. In the end, Mamorukun Curse! 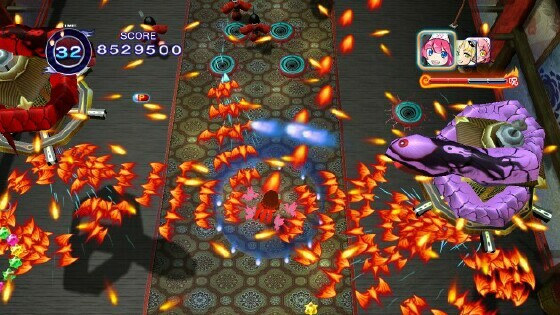 While not one of the best shmups out there, it is a lot of fun. I could actually do without the story in story mode; the game is short to begin with, but I couldn't get into the dialogue. So I ended up skipping the remainder of story. Also, the game is five years old and while I appreciate the options given, I think a couple of extra stages could have been added. Mamorukun Curse! 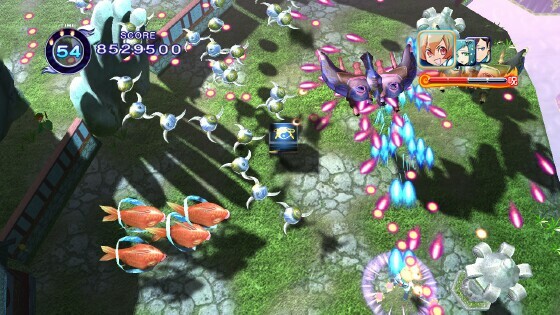 is available now for digital download on PSN and if you're looking for a shoot em up that's overloaded with cuteness, yet contains more than enough manly destruction, then this is your game. I know cuteness and manly really don't go together, but I should point out that Mamoru while very cute… is also a boy. So you see there's that. Ahem. Anyway out of TOV 5 stars, I give Mamorukun Curse! a 3.